Remember the days when their cover of Toto’s now-omnipresent “Africa” was a goood giggle, the product of a mid-western teen and a twitter account, a wholesome story that saw the band skyrocket up the charts for the first time in a decade? Weezer are preparing to release the long-awaited Black Album in February. One would hope it’s a sequel to the gleefully-done return-to-form that was 2016’s White Album and not the over-manufactured mess of 2017’s Pacific Daydream. But first, we must digest this, a surprise release of the band performing 80s hits like a high school garage band playing a Bowling Alley open-mic night. Rivers Cuomo dons a gaudy white blazer like he's playing the lead in Miami Vice. Look deep into his eyes. Does this look like a man who takes himself seriously? Invariably, these aren’t artistic interpretations; they’re carbon-copies. No doubt the word “karaoke” will be thrown around to describe it. I might prefer the term "dress-up". Take the all-important “Africa”: great supermarket music done in a retro style that sounds as though the band simply updated the production for the modern age without contributing anything new or unique to the song itself. This isn’t a case of Disturbed’s “Sound of Silence” cover where, as melodramatic and bloated as that rendition may be, at least it was uniquely Disturbed (a band known for being…well…melodramatic and bloated). This is simply silly in the fact that it’s Weezer performing “Africa”, but not in the music itself. That’s the running gag. Have you ever wanted to hear Weezer perform A Ha’s “Take On Me”? How about Eurythmic’s synth-pop hit “Sweet Dreams (Are Made of This)”? Better yet, how about a nasal take on Black Sabbath’s “Paranoid”, complete with guitarist Brian Bell’s best Ozzy impersonation? This is the one that really sticks out on the album. I was prepared for it. A friend of mine went to one of their shows over the summer and raved to me about how “cool” it was when the band broke out into some old-school metal as an encore. And live, I could see it being a pretty dope (as the kids are saying these days) experience, but one album, it just sounds…wrong. In fact, something always sounds a little wrong. “Sweet Dreams (Are Made of This)” sounds spot on from a musical standpoint (much more so than that awful Marilyn Manson version of yesteryear), yet it’s the uncanny valley feeling when Rivers drops in to sing the iconic verses. It sounds wrong. And that’s fine. There’s nothing inherently wrong with novelty. Listening to Rivers sing along to TLC’s “No Scrubs” is genuinely funny”, while “Happy Together” and “Mr. Blue Sky” are genuinely fitting covers for the group. The rest is funny in that contextual way. Throw this baby on at a party and watch your guests uncomfortably jam along to songs they know and love…keenly aware that something’s off. Kinda like those iTunes Beatles covers that were floating around in 2009. 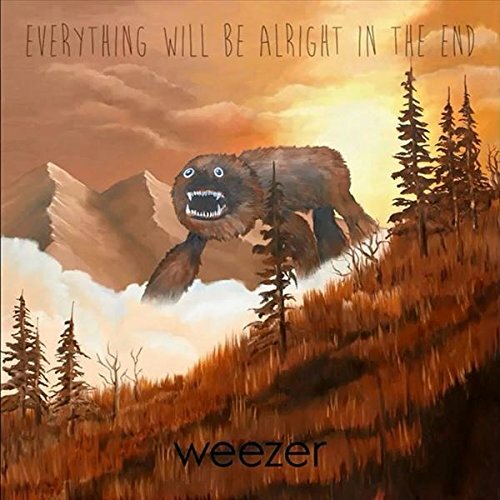 Perhaps most damning of all: this isn’t just a step up from Pacific Daydream, it’s one of Weezer’s better records. It's hard to seriously critique what's not intended to be taken seriously. If Rivers is truly dedicated to the meme, the long-awaited Black Album will consist of nothing but Metallica covers. Great review Kyle! Literally laughed out loud. 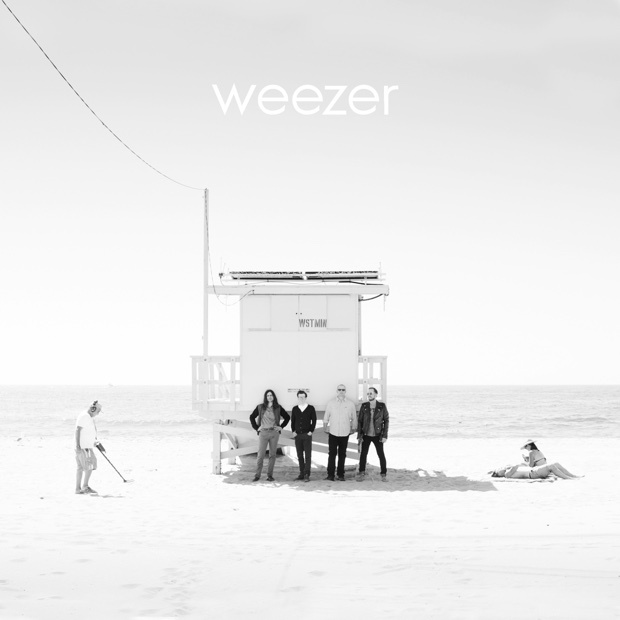 The White Album might be the biggest 'pleasant' surprise of my 30's, but I agree with you, Pacific Daydream and this mess of a record are just a couple more Hurley-esque head-scratchers. Fingers (tentatively) crossed for the Black album.